There are characters committed to fiction so treacherous, so deceitful that they have become synonymous with the concept of lying. The one I remember best to illustrate is the Shakespearean villain Iago, who occurs in Othello. Whereas his boss Othello is regarded as a man of “honour”, his chief weakness is jealousy and paranoia. Iago conspires with a twisted plan throughout the play to bring about the demise of several of the main protagonists. His deceit is only discovered at the denoument. IC Hello there, is Chris or Matt about ? PM Bare with me Ian………..
IC erm, well what noose? CM Well because of this complaint, my necks going to be in a noose, for being implicated with Mr Satch, (laughter), you know? IC well all I want him to do is tell the truth and if it comes out…..
CM I know, I know, I know.. I know… well, there you go, anyway what can we do for you sir? IC erm, well there’s one about that, er basically, the word “relocation”, I mean as you see it were those birds released last year onto Forge Mill? CM Erm. I don’t know whether they have this year cause I can’t see them anywhere, and as I’ve pointed out to you before I’ve had nothing at all to do with that, because I don’t work in the parks, I don’t put orders on for things, and I know nothing about it, and I told you the truth then and I’m telling you the truth now, I have nothing to do with it. IC erm, Are there any facilities on either of those farms , in the approved methods of killing birds that could be utilised such as stunning, lethal injection …. CM I wouldn’t have thought so, but I mean they wouldn’t have done it here would they, they’d have done it elsewhere, because that’s what they do innit? CM All of that buildings are fully occupied by animals or other things, so I wouldn’t have thought, erm, what they do is they normally take them in a vehicle and do it elsewhere you know? I mean, between you and me, you know, and I think, and I’m talking to you now, I’m not talking to anyone else, and there’s nobody else here, I think the swans fair better without the Canada geese, certainly at Dartmouth, they seem to have done a lot better with fewer Canada geese around, now that was partly because of the building works wasn’t it..? But isn’t it not going to be the case everywhere, so isn’t it doing a favour for the swans indirectly if you know what I mean? CM Yes I know, but it is indirectly ain’t it? I’m asking you a question now about the swans, that’s all I’m asking you… I ain’t recording you, I’m just asking you a question. IC Well, I mean I don’t see it like that, I’m not just interested in the swans, I’m interested in the geese and all the rest of it. I mean I rescue geese, as I’d rescue swans, like I did the other week on swan pool..
CM As we have here, but it wasn’t that, it’s not that, I was only asking you as an individual and talking to you as we do talk, erm but as far as I’m aware , there’s nothing here that they’d use , we don’t have anything, anything that we want to kill here, we have to send it away. IC Well if you got a dead horse or cow or something like that what, who would remove it? CM No it doesn’t cover them, they’re classed as “a pest” anyway aren’t they? IC But how do you dispose of anything like a dead swan or something like a badger or…? IC But they wouldn’t take away about 70 odd geese would they, I wouldn’t have thought? CM No they wouldn’t, but I suppose if somebody’s come and rounded up whatever number it is up, they’d take them away, and they’d dispose of them, because they have the licence and waywithall to do that, the council wouldn’t be involved whatsoever, I mean in the past when I’ve had to have a few pigeons done away with, what they do is, cause we have a special programme here being a farm, feral pigeons or sick pigeons are taken away by the people who kill them off, they wouldn’t expect us to do it. But my fallen stock scheme here, the one that I operate, which is through DEFRA, its actually got listed here what they’ll take , and the people who come in a take them, there’s a whole list of people, that can come in from around the country, they will only take what’s on that list and nobody else in the council I would have thought would have that list, I mean you have to pay for it you see, and I get a print out, and I could show you a print out of what comes, and it just prints out like if we have a large pig die, we ring this number and they send somebody in to collect it, and then we get like a receipt , that they’ve taken it and it gets taken down and then the way it works is that we get a bill that comes through electronically, but you wouldn’t do it for wild birds, you wouldn’t do it for geese, rabbits or badgers, with single ones they usually go to one of the Shidas Lane depots. But that number would have to go straight off with the people that’ve been charged to do with it. It wouldn’t be us. It’s too much for us, we can’t deal with it, you wouldn’t be able to. I suppose it’s not without possibility that they’ve split them up and dumped them here there and everywhere, it depends on what they were told to do, and like I said I’ve had nothing at all to do with them, so whatever they’ve been told to do, they’ve done. CM Well I think that’s how they, they probably would have, ..no I didn’t have instruction because I didn’t deal with it, whatever they did last year was last year, and I don’t really know exactly what went on. CM well he might well have, but I think they probably learnt the error of their ways, you know they probably would have been told. But again you know it’s not us that puts orders on for those sort of things , that would come from parks people , they’d deal with it wouldn’t they. There are many issues which arise from this conversation. There are damning claims and statements made which need clarifying, and then we also get an insight into the mind of someone who has been in a job position without it appears any scruples about bringing his employers into disrepute. The first issue is the character of the man in question revealed. At the start of the conversation he interjects with a story, a tailored distraction technique. This is a frequent tool that he uses in an attempt to throw me off the purpose of the call, but all it really reveals is the utter failure of his and his staff at the Sandwell Valley to manage angling properly. Linked to this is some form of self sacrifice on his part, in that he rescued a swan. Was this story fact or pure fiction? Who knows, and who really cares, for Chris Moore it merely provided an attempted distraction. The other thing that the listener/reader will quickly note is the frequency of utter drivel and rambling from one direction to another, a tool well used by people of deceit. This is particularly used to avoid answering direct questions. But these are just character traits, for it is the content of the lies that defines the treachery of this individual. Firstly he tries to distance himself from “Mr Satch”- John Satchwell, thus trying to gain a confidence. Again, some self sacrifice is implied that his “neck is in a noose.” Melodrama, hypochondria, and sometimes hypochondria by proxy have all been used in the past in conversations with the man, whereby the tale he tells serves as another form of distraction to throw one off getting any answer to a question that you are asking- usually in my case about his or his staff’s failure to do something. The most shocking claim however is the apparent admission that his council, and officers together with their supposed “professional” contractors, Pestex were complicit in illegality of releasing Canada geese from Victoria park in 2013. IC “erm, well there’s one about that, er basically, the word “relocation”, I mean as you see it were those birds released last year onto Forge Mill? Not only do we get this but later on an even more bizarre statement is made. Who exactly is he referring to here? John Satchwell and the pest controllers Pestex, whom it is claimed did not act unlawfully by following a Natural England general licence to cull, or the entire council at Sandwell itself? What errors were learnt, as they have certainly not been punished or prosecuted as they should have been if the geese had been released? Through this admission, which we are now expected to believe was a lie on John Satchwell’s part which Chris Moore and others were playing along with, this officer is happy to claim that his council have broken the law rather than admitting to the “truth” that they had been killed. ABSENCE OF RESPONSIBILITY AND FALSE TRAIL LAYING USING OTHERS. Not only does Chris Moore like to distance himself from any personal involvement in the cull, but he also draws into the picture Paul Smith. 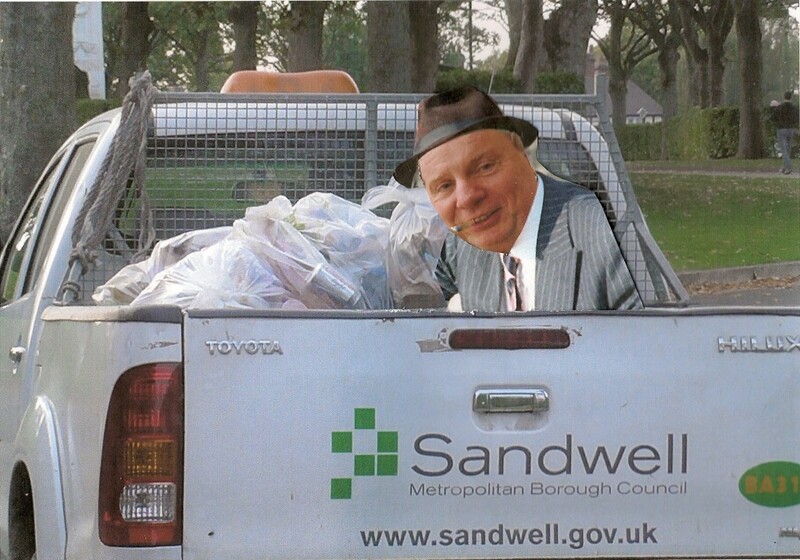 The report he refers to could be the 1997 cabinet report, which it is now claimed via John Satchwell the council do not conveniently have a copy of, or John Satchwell’s culling report itself. The two appear to be ambiguously referenced by the statement made here. Either way, Paul Smith subsequently denied having been party to any culling report or being in agreement with the idea in his recorded phone call conversation, yet on the record it is claimed that he knew full well about it. The genesis of the culling can perhaps be traced back to September 2012. In a conversation with Chris Moore at the time, he asked me about my opinion of Canada geese. I did not know the purpose then of why he wanted to know this, but sent an email to him which also copied in John Satchwell. 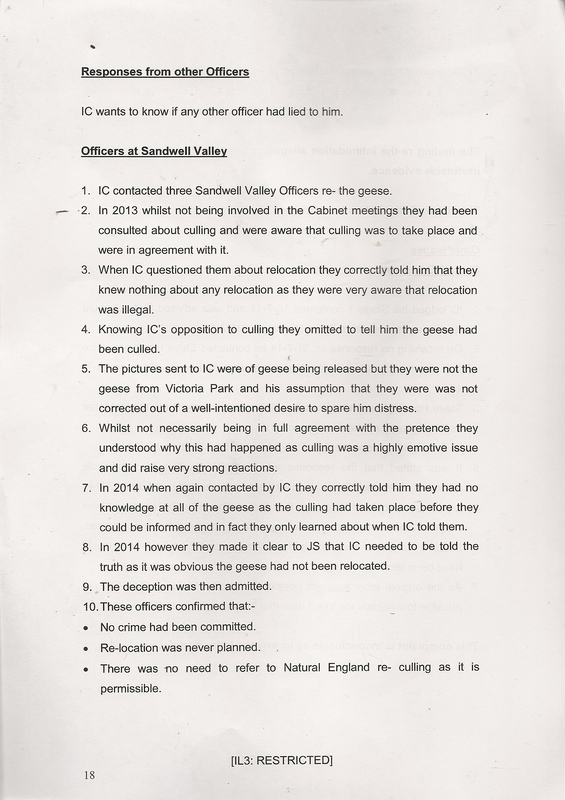 It is clear now that the idea was actively being discussed in Sandwell’s corrupt parks department, with Moore being used as the litmus tester to seeing what the reaction would be to a possible cull. He was left in no doubt as to what the reaction would be from myself. You asked me about canada geese today during our conversation and my opinion. I take it there is some disquiet about them regarding Dartmouth park? As I said at the meeting at the park farm some months ago, I do not have any problem with these birds. At sheepwash out of about 25 hatched there were 4 survivors. They are eaten by predators on most of the nature reserve sites, even without egg pricking taking place. This provides some predators with food that would otherwise be taken by praying on other small birds. Herons, crows magpies, dogs, foxes- all gosling predators. In terms of the park pools, people are not thinking clearly. It is not the food offered to them that is attractive, it is the nature of the surroundings. Given that the birds are grazers and rely on this food like cows, is it much of a surprise that they congregate in parks with grass to graze? Get rid of the grass and build some houses in the parks with long concrete drives with BMWs on the front! In terms of the smells you were talking about, I find it hard to believe that canada goose mess is responsible. I have had this all over me in every conceivable place, and I have never detected any smell, which is not surprising given that they are vegetarian, though a freshly smoking stool that looks like it has been coated with icing sugar is rather cool. Nor have I been struck down by any disease. On the other hand look at what has happened in Sutton park, and the almost certain litigation that Birmingham City council now face, as a consequence of commercial farming- letting cows wander loose and defecate everywhere including in the pools. E-COLI 0157 PROVEN BY THE HPA TO STEM FROM THIS SOURCE. The tourism to this site will have crashed, possibly irrepairably. 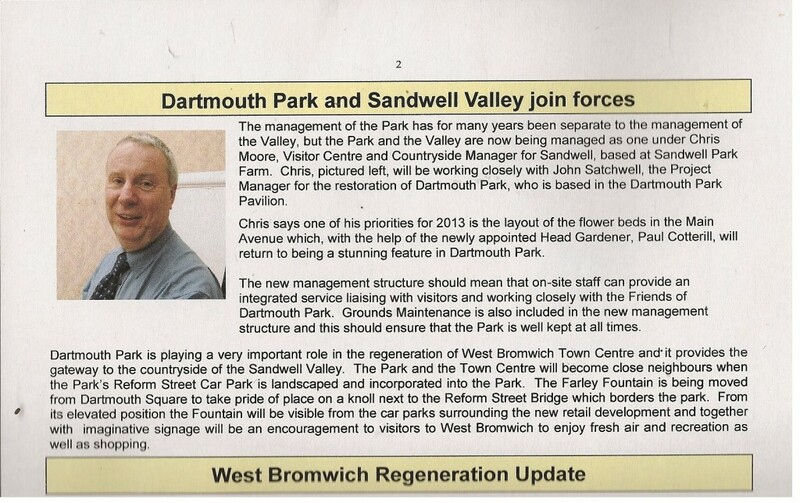 I would hope that Sandwell keeps its remaining beasts locked up and not follow their mistake! All to often wildlife is blamed for the consequences of commercial farming mispractice- from BSE, FOOT AND MOUTH and now TB in cattle. Geese droppings are far less harmful than dog mess and it does not smell as bad, but usually the complainers are the ones who let their dogs defecate freely. I am rather sick of having to avoid horse *hit around forgemill lane as well as strange singular men hanging around, but I don’t see the council doing anything about this. I also detect odours eminating from the farms, and in the past this has wafted down the phone line from some individuals I have spoken to based here. I understand that some of these creatures have now been put out to pasture in Northern France. As for Dartmouth park- I do not like what I am seeing. Too many people here now, too many attractions more like a giant theme park which is obviously what “the vision” was, but it is a repugnant one, which does not complement the surroundings of the valley at all. I would hope that there are no fools in the council that want to go down the same line as the lake district national park authority concerning proposing the cull of healthy birds. I would still like to see where the money spent on sheepwash was spent, as was promised at the meeting. At the so called “scrutiny” meeting, John Satchwell stated that he was aware of my opposition to culling. 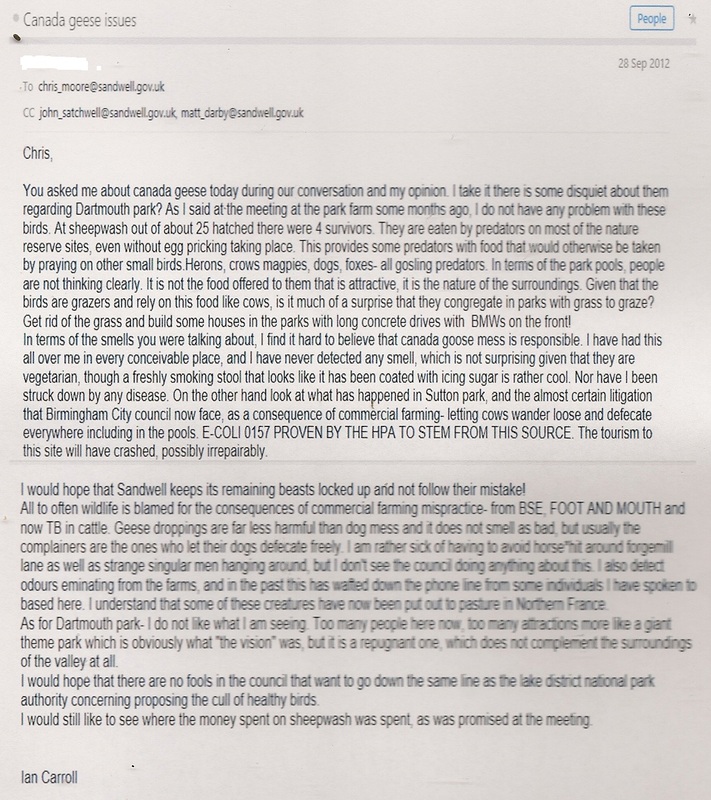 There was no occasion when HE asked for my opinion at all regarding Canada geese, though it is now clear to see that Moore was seeking out my opinion to feed back to him before the cull in September 2013. 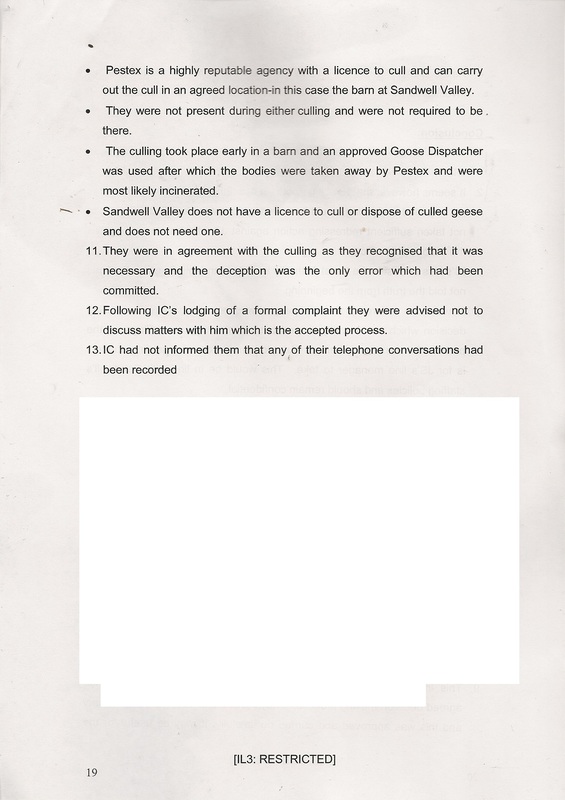 What followed in Satchwell’s report and the lies that were constructed is history. 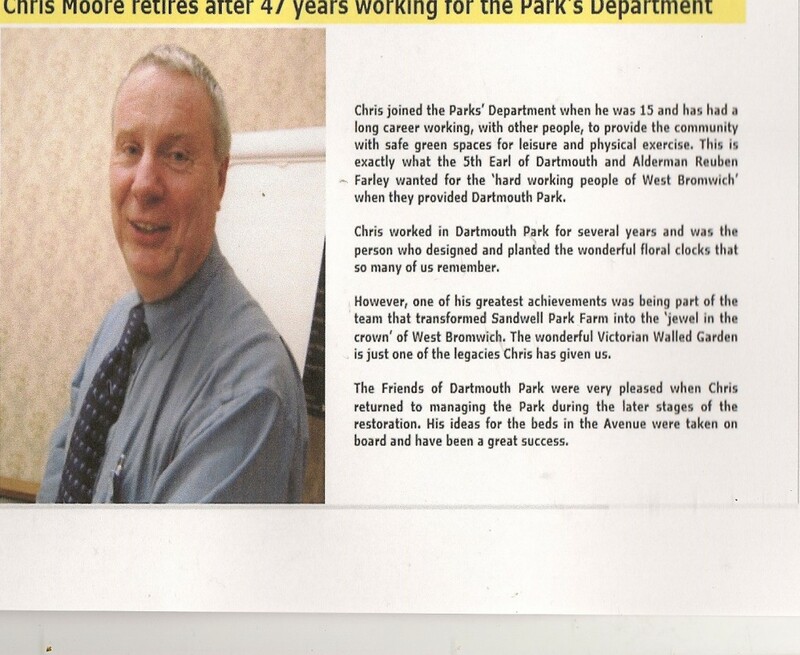 CHRIS MOORE’S LIES AS A MAJOR PLAYER IN DARTMOUTH PARK’S DECISION MAKING PROCESS CONTRAST TO STATEMENTS MADE LATER TO THE INDEPENDENT INVESTIGATOR. Concerning the disappearance of geese, Chris Moore knowing full well about the cull draws attention away from this in an attempt to suggest the works in the park were responsible for the geese taking leave themselves, whereas the works were in themselves the reason why the council undertook the cull… for their perverted idea of what makes a park. SANDWELL COUNCIL CLAIM THAT 100 GEESE WERE ROUNDED UP AND KILLED AT FORGE MILL FARM IN 2013 BY CONTRACTORS THAT THEY PAID TO DO THIS – SO WHAT THE HELL IS THE MANAGER OF THE PARK FARM- AND SANDWELL VALLEY INCLUDING DARTMOUTH PARK CLAIMING THAT THE BIRDS DISAPPERAED AS A RESULT OF MACHINERY AND LOW WATER LEVELS? Furthermore, if you’ll excuse the pun, on his retirement, the following was posted on the Friends of Dartmouth park website, and is currently displayed on the noticeboards at the site. I would personally like to wish Chris Moore a very unhappy and a very unhealthy retirement, but in keeping with with spirit of not wanting to cause any personal distress I hope it proves to be a very short one.